Printer Reviews 2011 - What are the Top Printers 2011? Looking for printer reviews 2011 top picks ? Everyone is getting excited about what the best printers for 2011 are. It is really quite difficult to choose the best printers for the year as it has been repeated so many times that the list is very long and the variety of printers available in the market covers ranges of different specialties to make it to the top. Our Printer reviews for 2011 printers will cover various printers that have proven their worth not only in the market but to experts and users as well. The HP LaserJet Pro P1606dn is a compact, high quality text output and a fast speed monochrome laser printer. It’s quite weak on graphics and photo quality. It has a duplexer and a standard network connector. It is smaller and lighter than most inkjet but it is big enough to hold a 250 – sheet paper tray including the built – in duplexer. It has an additional 10 – sheet multipurpose tray which you can find useful in printing on special paper without the need to switch the papers in the tray. Setting up this small mono laser is typical as well. One of the best features that make the P1606dn stands out is its speed. It delivers a solid 26 ppm and text quality is highly readable are essential plus factors of the P1606dn. As mentioned, graphics are on the low end to standard for a monochrome laser which makes it good enough for internal business use. The P1606dn is the very first monochrome laser printer that earned PCMag GreenTech Approved Seal. It is RoHS and REACH compliant, Energy Star 1.1 qualified as well as Blue Angel certified. It consumes chemically grown toner that saves energy during production compared to ground toners. LaserJet Pro P1606dn as one of your best choice. The Canon Pixma MP990 Wireless Photo All-In-One Printer is one of Canon's latest versions of its photo-lab multifunction printers. Meaning you can use it as a multifunction printer while printing photos directly from various sources that allows you to justify buying it as a home photo lab without connecting it to your computer. The MP990 prints faster while producing quality text output. It prints, scans, copies and send emails. Scanning from this printer includes the ability to scan from 35 film (both sides and strips of film) as well as photos and documents. It also has the ability to scan to a memory card and USB memory key. The MP990 as a photo lab can directly print from diverse sources like memory cards, PictBridge cameras, USB keys and 35 mm film. It also prints directly from photographic prints with its Photo Reprint feature an additional feature to the standard Copy command. Photo Reprint allows you to print borderless copies even if the original copies have borders. The Canon Pixma MP990 Wireless Photo All-In-One Printer does not have office centered features. It does not have an automatic document feeder and cannot scan legal pages. It has no fax modem as well. It has two – 150 sheet trays allowing you to place plain paper in one and photo paper on the other so you will not be switching from document and photo printing. It has a duplexer which comes useful for home use. Setting up the MP990 gives you the choice of connecting either by wired or wireless network or through a USB cable. It uses more ink than most printers and has separate cartridges for each ink. Canon MP990's approach to network installation is much more improved over Canon's earlier-generation of printers allowing it to match other the competition. One of its strongest qualities is its photo quality printing which makes it up for its lack of speed. The printer does very well on graphics and text quality. The graphics are good enough for output if you want to impress a client. The Canon Pixma MP990 Wireless Photo All-In-One Printer is the most notable photo-lab MFP at anything like its price thus making it an easy picked for Editors' Choice. The Hewlett-Packard HP LaserJet Enterprise P3015dn is a monochrome laser printer that offers fast speed for a small to medium-size office or workgroup. It offers sufficient paper capacity having a totoal of 1,100 sheet capacity which is more than enough for most small offices although it has limited additional paper handling options making it suitable for less heavy duty printing needs. The HP LaserJet Enterprise P3015d includes a duplexer but has no network connector and setting up is reasonably typical for a mono laser. The P3015dn produces quality prints specifically for text. Its text quality is almost at the top range among monochrome lasers and certainly good for fast mono lasers. 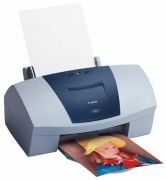 The Canon Pixma MP990 Wireless Photo All-In-One Printer has low running cost making it a highly attractive printer. Buying printers for our home and office use is entirely dependent on us. Choosing the printer that suits our needs is what we are after. With all the number of printers out in the market adds to intricacies which are the best printer for our personal and office use. Although, we can exactly choose on our own which printer to buy without relying on reviews but we do want to have an update of the latest printers that are coming out and these can be found on the different reviews we can find. Printer reviews 2011 has given you the featured printers to watch out for this coming year and you can get a lot more choices which one is the best for your needs. Share Your Printer Review 2011!